Home Fake News Democrats claim all those flowing into America are legal asylum seekers. It’s a lie. The vast majority of “asylum seekers” are here illegally. That is not the narrative that Democrats and the left-wing propaganda press is pressing. 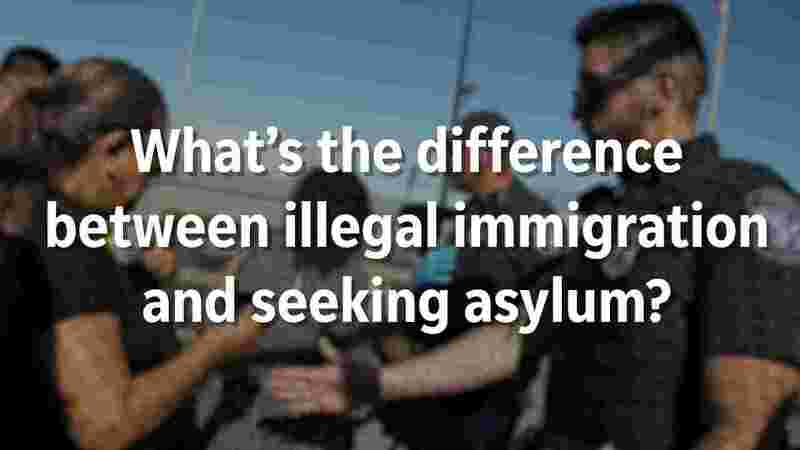 They say that when a person crosses our border – through points of entry or by pole vaulting border walls (where they might exist) – they can LEGALLY request asylum and remain in the United States until their request is adjudicated. That is the meaning of “catch and release.” What is missing is the expeditious vetting process. Given the numbers of border crossers and the loooooong delays between entering and court hearings, there essentially is no vetting. That means that anyone – with the exception of a relatively few known criminals – who claims to be endangered back home gets admitted. There is no requirement of proof. By the Democrats misrepresentation of the law, most of the 26 million folks who reside in America without official approval are LEGAL – a least by their strained definition. That is simply not true. First of all, the millions who never showed up for their vetting hearing are automatically ILLEGAL. Second, all those who came here with legal visas – workers, students, visitors – and did not leave are also ILLEGAL. As Democrats like to point out, those overstaying visas comprise a high percentage of the illegals in this country. So, what about the hundreds of thousands – maybe now millions – claiming asylum? Based on history and current statistics, most of them are NOT ELIGIBLE FOR ASYLUM. This is the dirty little secret that Democrats and their media friends do not like to discuss or report. Over the longer period, the actual records show that up to 80 percent of those requesting asylum are ineligible. Think about that. Democrats do not care if the folks claiming asylum are even eligible. Current numbers at the border show that 76 percent of those from Honduras who are seeking asylum are not eligible. That is true of 75 percent coming from Guatemala, 68 percent from El Salvatore and 61 percent from Mexico. Some of those folks may have been misled into believing that anyone crossing the U.S. border and claiming asylum is automatically accepted. And why not? Democrats and the new media have been pushing that false narrative 24/7. Many asylum seekers have been coached to make false claims and for another large group their requests are simply fraudulent. Technically, anyone in America today who is not eligible for asylum is an illegal alien. What is going on at our border is a multifaceted crisis. It is a human crisis because tens of thousands of people are suffering and many dying on the trail to the border, and by crimes against Americans committed by the criminal element who use the caravans as a modern-day Trojan Horse. It is a political crisis because it has kept our leaders impotently divided on the issue for generations. The failure to recognize the problem and to fix it has a very simple cause. Both Republicans and Democrats in Washington have used immigration as a political weapon – and neither side wants to give up that partisan political weapon for the sake of the country. President Reagan made a run at it and offered amnesty in return for border security. Congressional Democrats approved of the amnesty but reneged on border security. President Clinton made a feeble run at it but gave up in the face of congressional inaction from his own party. Those were the days when most of the top Democrats paid lip service to border security. Their comments in those days sounded like Trump today. President Obama promised that immigration reform would be his first priority – but he gave it no priority whatsoever throughout his eight years in office. President Trump is the first President to push hard for border security as the first element of immigration reform – trying to avoid what happened to Reagan — but has been rebuffed by Congress in a shameful display of bipartisan inaction. One can fault Trump for his pugnacious style but one cannot say he is not seriously working on the issue of REAL immigration reform.